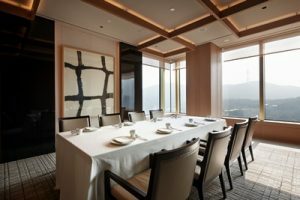 Included in the coveted list of Asia’s 50 Best Restaurants for three consecutive years, La Yeon, The Shilla Seoul’s three Michelin-starred fine-dining Korean restaurant, launches a Spring Menu. Showcasing the season’s finest ingredients from the Korean peninsula’s farms and shores, guests can take advantage of the special “Taste of La Yeon” accommodation package. Celebrating the season, the Spring Menu features uniquely Korean elements. 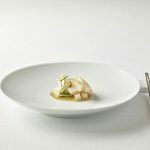 Comprising nutritious ingredients that have been used for generations, the menu includes delicacies such as geoduck, sea bream, king scallops, webfoot octopus, napa cabbage, mulberries and bellflower seeds. A variety of traditional cooking techniques will present the seasonal ingredients, from fermenting and low-temperature ripening to steaming and grilling. 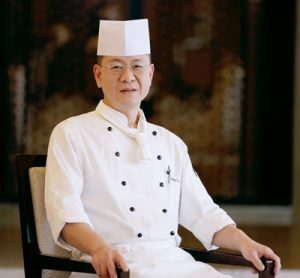 These meticulous processes reflect La Yeon’s ongoing commitment to honor Korea’s culinary history. Spring in Korea brings a bounty of assorted seafood. The new Chilled Keen’s Gaper Salad with Wild Greens Sauce is marinated before being steamed. The soft pen shells boast an aroma of fruit and herbs and are served with a drizzle of brown rice vinegar. The sweet yuzu sauce adds freshness to the seared scallops with scallions, bamboo shoots and wild vegetables served on the side. 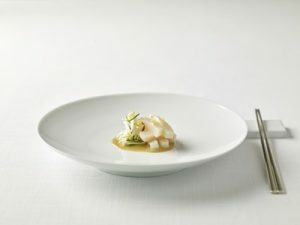 Enticing guests with the fresh flavors of spring, La Yeon enhances its new menu with a selection of light and delicate dishes, including an Abalone, Sea Cucumber and Beef Porridge, Steamed Red Mullet with Red Pepper Seasoning Juice, and Sea Bream Fillet Dumplings. The Abalone, Sea Cucumber and Beef Porridge is a blend of rice, premium abalone, beef, and dried sea cucumber simmered in spare rib soup, garnished with wild vegetables and soy-marinated sea cucumber. The Steamed Red Mullet with Red Pepper Seasoning Juice, comprising a broad range of traditional Korean ingredients such as clam, pollack, kelp, gochujang (red pepper paste), boasts a robust and well-bodied flavor. Available in the dinner menu, the Sea Bream Fillet Dumplings comprise fresh red snappers, mushrooms, bean sprouts, pumpkin and beef. The dumplings are complemented by sauces made of sea bream, vegetables, mustard and wormwood. The new menu’s main course, the Seasonal Hot Pot Rice, is a delightful yet unassuming dish. Cooked in kelp water with an optimum 0.4% salinity and water chestnut, each grain of rice captures the flavors of the ocean. The dressing of red snapper and burdock highlights the aroma, creating the ultimate comfort dish. 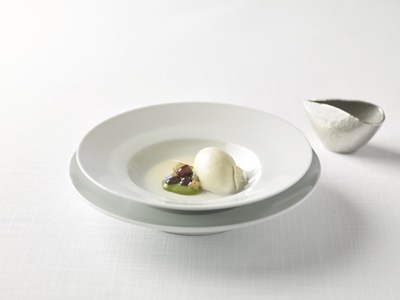 The Spring Menu’s gastronomic journey culminates with La Yeon’s signature Strawberry Ice Cream with Milk Pudding. Wine pairing is available with the new menu, each wine carefully handpicked by La Yeon’s sommelier to enhance the dining experience. The restaurant’s drinks menu will also be refreshed to include two new types of makgeolli (Korean rice wine) and two new types of Cheongju (refined rice wine). Traditional Korean liquors such as a freshly harvested rice and peanut makgeolli are also offered by the glass for pairing with dishes. All menus are meticulously crafted by the sommelier with an extensive collection of Korean wines to bring out the best flavors for taste buds. For more information or reservations, please contact La Yeon at (82) 2-2230-3367 or visit www.shilla.net. The “Taste of La Yeon” accommodation package at The Shilla Seoul is designed for gourmets who enjoy travelling for food. Guests who book the package receive one night accommodation in a premium suite, a lunch or dinner for two at La Yeon (advance booking required), a Shilla Teddy Bear, free access to the Executive Lounge and outdoor spa pool, relaxation area Finnish sauna, gyms, indoor pool and other leisure facilities. “Taste of La Yeon” starts at 750,000 won per night (Sundays to Thursdays) or 850,000 won per night (Fridays and Saturdays), exclusive of tax and service charges. Rates are based on a minimum two-night stay, with two persons sharing a room. The package is available from now until May 31. The Shilla Seoul has also reopened Urban Island, destined to be the oasis of choice this spring. In addition to the outdoor swimming pool and sunbathing facilities, The Shilla Seoul provides a spa pool, heated pools, and private cabanas. The “Urban Island” package includes one night accommodation in a deluxe suite, a Shilla Teddy Bear, free access to “Urban Island”, fitness center and indoor swimming pool. Package rates start at 310,000 won per night (Mondays to Thursdays) or 350,000 won per night (Fridays and Saturdays), exclusive of tax and service charges. Rates are based on a minimum two-night stay, with two persons sharing a room. The package is available from now until May 31 (Not applicable from April 29 to May 7). For enquiries or bookings, please call (82) 2-2230-3310 or visit www.shilla.net.